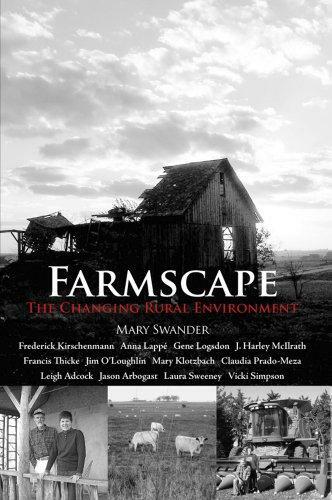 Farm to Text will meet to discuss Mary Swander’s play Farmscape, which has been performed many times across the US, including a special performance for Secretary Vilsack of the USDA, and published as a book in 2012. The play documents the American farmscape through interviews with real people involved in real changes in how we grow our food and live our lives in the rural United States. Farm to Text will have a limited number of copies available for distribution — if you would like one, please contact farmtotext@gmail.com.